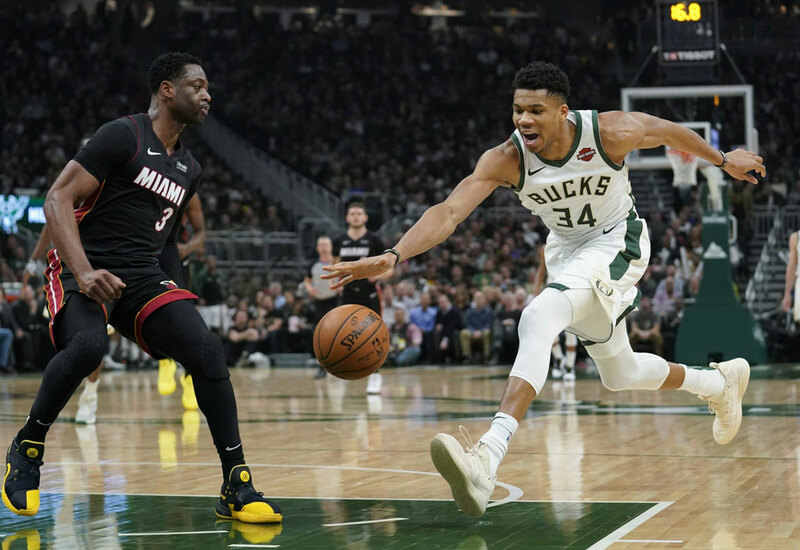 The offensive assault kicked into high gear in the second quarter, as the Bucks outscored the Heat, 39-22. Their 10-of-19 shooting from three-point range outdid their entire night in Miami, a game in which Milwaukee went an unusually bad 9 of 43 on three. Held well below his season scoring average, Giannis Antetokounmpo found other ways to help the Milwaukee Bucks win. Spoelstra expressed frustration with his team’s effort. A lack of focus after the Bucks jumped out in front ruined the Heat’s chances for a comeback, Winslow said. Heat: Started a four-game trip and play 12 of their next 16 on the road. Whiteside returned to the lineup after missing Saturday’s game due to illness. . G Josh Richardson started after not participating in the team’s practice on Monday due to the knee tendinitis. Bucks: Signed forward Bonzie Colson to a two-way contract. Colson has spent the 2018-19 season with the Canton Charge of the G league after going undrafted out of Notre Dame. . Brogdon missed just his third free throw in 88 attempts this season. … All 13 players scored.